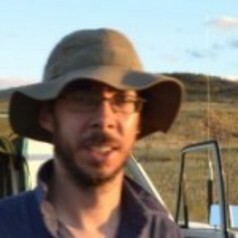 I am a geologist and geochemist working as a lecturer at QUT. My main research interest has focused around the long term evolution of the Earth. This includes field, geochemical and geochronological research into Earth’s oldest rock associations and Phanerozoic to recent mantle derived volcanic product. I have also begun to expand upon my experience in geochemistry to investigate the use of sediment geochemistry as an indicator of both provenance and environment in the sediment source and to none geological fields by working with biosecurity on pest provenance.